I love fall! I’m pretty sure with each fall I wonder if fall is my favorite season (just like I do with spring). 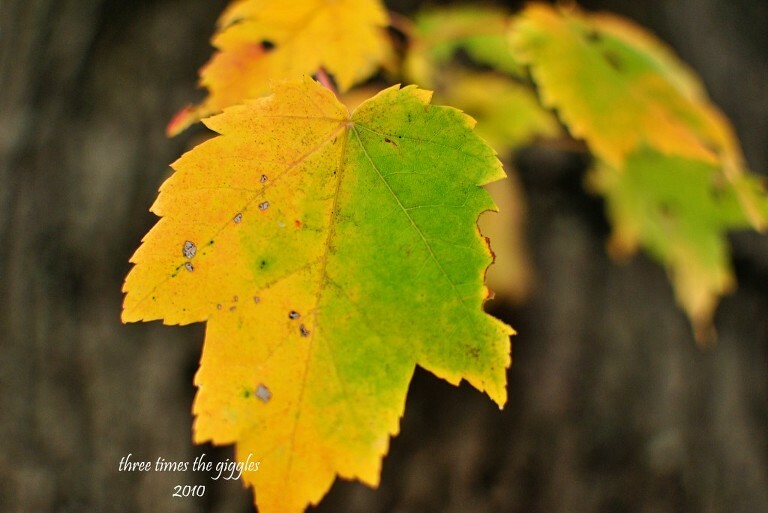 The random crisp days as fall starts to creep in, making soups and stews in the crock pot or on the stove, drinking hot drinks and the crunch of fallen leaves. I just love it all! While most of the leaves on the trees in our yard just turn brown and fall off, I do have one tree that has leaves that turn yellow! Those leaves are just starting to change colors this week and I’ve loved looking out my window at them. Makes me wish I could see the changing leaves in New England, because those are truly spectacular! Speaking of New England, fall always makes me think of visiting my grandparents’ home when I was a child. Their yard wasn’t very big, but boy did they have a lot of leaves! I have such fun memories of raking them into huge piles and jumping in them, or clearing little paths in the pile and pretending the leaves were walls of a house. My brother and sister and I had hours and hours of fun in that yard and if cousins were there visiting at the same time it was even better! I was about 4.5 when that picture was snapped in my grandparents’ yard. 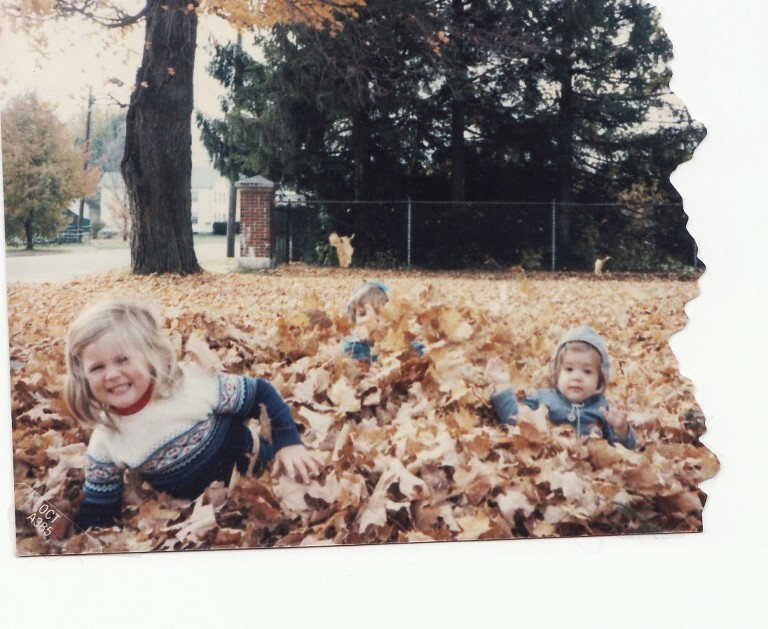 My brother (mostly hidden by leaves) would have been 2.5 and my sister had probably just turned 1 or was about to. Ahh, the memories! Every fall I wish I could just pack the boys up and drive to western Massachusetts so that they could play in the leaves at my grandparents’ house (and I bet I’m not the only grandchild who thinks that). Maybe one of these years I’ll manage that. I love the picture from when you were a kid…brings back fond memories for me, too. 🙂 I am really loving this fall, particularly since the girls are old enough to begin to appreciate the falling leaves and amazing colors. There’s definitely a lot to see – and hear, like the crunch of the leaves beneath my feet – on our walks.